Amanda Grant graduated from the University of St. Augustine for Health Sciences (USA) with her Doctorate in Physical Therapy in 2006. Shortly after, she earned her Manual Therapy Certification and became a Certified Lymphedema Therapist. In 2010, Amanda completed the Orthopaedic Fellowship program at USA. 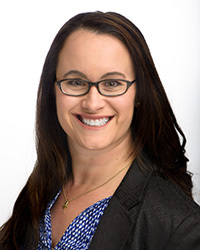 Currently, Amanda is a full-time faculty member at the University of St. Augustine’s Florida campus, and instructs in both the on-campus and Flex physical therapy programs in both entry level and advanced spine and extremity courses. In addition she is a mentor for both the residency and fellowship programs at USA. Amanda practices clinically at First Coast Rehabilitation. Most recently, Amanda was part of a 6 person relay to successfully swim across the English Channel.